Quality Inn & Suites Brandon Tampa - When you’re ready to settle in for the night, our smoke-free guest rooms feature standard amenities like hair dryers, desks, irons and ironing boards. Long-distance travelers will appreciate. 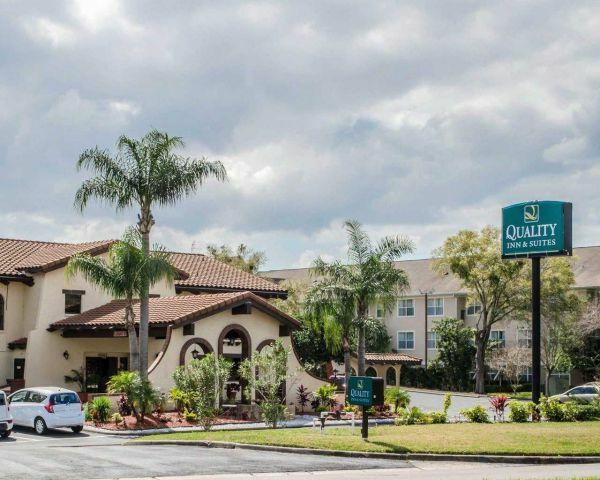 Welcome to the Quality Inn & Suites® Tampa – Brandon near Casino hotel in Tampa, located off of Interstate 75. Tampa hotels also offer easy access to a variety of cocktail lounges, museums, galleries, coffee shops and top-rated restaurants throughout the area. When you’re ready to settle in for the night, our smoke-free guest rooms feature standard amenities like hair dryers, desks, irons and ironing boards. Long-distance travelers will appreciate our guest laundry services. Get your money’s worth at the Quality Inn & Suites Tampa – Brandon near Casino. This Tampa, FL hotel offers cozy guest rooms with all the amenities you expect. Book today! Travolie is a leading online travel portal that offers you an opportunity to enjoy one of the best holidays package of your life without worrying about travel-related hassles.